Last week we broke the news that Ubisoft had picked up Wheelman from struggling developer Midway. Today, Ubisoft confirms our story, calling the deal a "strategic relationship." Under the terms of the deal Ubisoft will market, distribute and sell the game while Midway will continue developing it. The game, which will be getting a pre-launch demo for the Playstation 3 and Xbox 360, is scheduled for a release in North America on March 24 and March 27 in Europe. Ubisoft will handle sales, marketing, and distribution of the title in North America, South America, Australia, New Zealand, France, Germany, Austria, Ireland and the United Kingdom. Midway will continue to direct the development of the title and retains all future rights to the franchise and will sell the title in all other European territories. "We are pleased to be partnering with Midway to bring Wheelman to stores worldwide," said Tony Key, senior vice president of sales and marketing, Ubisoft. "The cutting edge open-world driving technology in Wheelman should make for an experience that gamers will enjoy." "Ubisoft's decision to join Midway in a co-publishing agreement is a gratifying validation of Wheelman's potential," commented Matt Booty, president and CEO, Midway. "Ubisoft has a proven expertise at bringing new IP to market, which will allow us to reach a broader consumer segment with Wheelman, while helping Midway to balance the risk profile of our product portfolio." 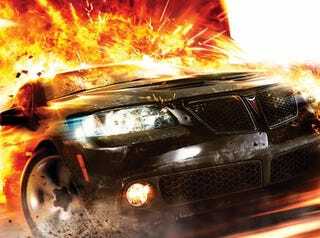 "The development team in Newcastle, UK, has fine-tuned and polished Wheelman, especially in these last few months, to deliver a true Hollywood blockbuster experience," said Craig Duncan, studio head, Midway Studios – Newcastle Ltd. "The demo due out for Xbox 360 and PS3 will show that Wheelman's new game design mechanics like cinematic super moves and vehicular combat will revolutionize driving games." The deal comes to light just a few days after a federal bankruptcy court gave Midway the go ahead to continue spending money as they try to work their way out of quite a massive amount of debt. Could this be the first step toward Ubisoft taking on more outside projects as a publisher? Is there an Ubisoft Partners in our near future?